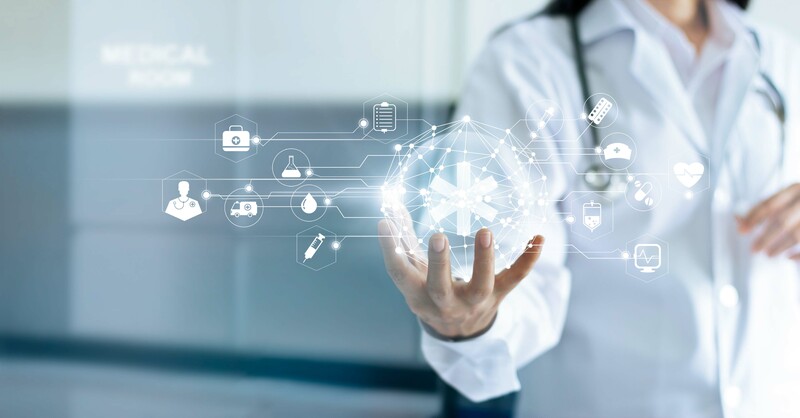 As the health care industry continues to experience dramatic change, we continue to provide cutting-edge representation in today’s highly regulated and ever-shifting competitive environment. Hinckley Allen is one of the most respected and experienced healthcare practices in the Northeast. Our healthcare attorneys use their industry knowledge, experience and legal skills to provide sophisticated and strategic guidance on the most difficult issues facing healthcare providers, including evolving models for delivery of care and reimbursement, the need for various strategic alliances, insurance, technological advances, regulatory compliance, risk management, government enforcement and white collar defense, and complex disputes and investigations. Effective counsel wherever law and healthcare intersect. Our clients cover the spectrum of healthcare providers and facilities. We work with teaching, tertiary and acute care hospitals, nursing facilities, continuing care retirement communities, and other senior housing and care organizations, as well as hospital systems, physician-hospital organizations, and clinically-integrated networks. We represent community-based providers, including: home health agencies, visiting nurse associations, hospices, clinics, ambulatory surgery centers, provider networks (including faculty practice plans), clinical laboratories, mental health centers, and physician groups. We advise trade associations serving hospitals, nursing facilities, and other healthcare entities on both general and specialized regulatory matters. Hinckley Allen represented four community hospitals and three federally qualified health centers (FQHCs) in the creation of a clinically integrated network which negotiate and perform risk-sharing reimbursement contracts with commercial health insurers. Working collaboratively with a healthcare consultant, we guided the parties through the establishment of governance, financial, and clinical structure for their network which aligned their interests and established trust and a working relationship among them. A creative block-voting arrangement and deadlock provision enabled the parties to achieve parity in key decisions despite their disparate economic contributions to the endeavor. Our attorneys also helped these hospitals and FQHCs participate in an Accountable Care Organization in the Medicare AIM shared-savings program. We assisted a nationally recognized academic medical center in the establishment of a multi-hospital health system. We helped to create the parent company, and then assisted the General Counsel’s Office in bringing four nonprofit hospitals into the system through member-substitution transactions. Our lawyers drafted the template-affiliation agreement, conducted due diligence, and resolved identified concerns. We reviewed governance document amendments, assisted with state change of control processes, and advised the system and its new affiliates about necessary filings with state and federal reimbursement programs and tax authorities. We are now assisting the system with integration issues, including the centralization of legal services and risk management. We represented a major tertiary-care hospital in the development of a “baskets of care” program with a group of orthopedic surgeons and anesthesiologists. This innovative program, one of the first in the country, involves the development of clinically integrated total joint-replacement surgery packages, including orthopedic surgery, anesthesiology services, post-operative inpatient care, inpatient facilities and related inpatient care, and administrative services – all for a fixed fee. This arrangement creates opportunities for such healthcare providers to cooperate and innovate in connection with the development of improvements in healthcare quality and reduction of costs, such as the development and implementation of consistent clinical protocols, obtaining quality improvements and good clinical outcomes, enhancement of operational efficiencies and cost savings, sharing of financial risks relating to provision of care, increased patient satisfaction, and performance review and improvement. We represented a major Connecticut hospital system in two simultaneous affiliation transactions, one in which the client acquired a community hospital through a bankruptcy proceeding, and one in which the client joined a national hospital system. Our lawyers guided the client through the complexities of the community hospital’s bankruptcy proceeding, supported two concurrent certificate of need applications – and played a central role in drafting and negotiating affiliation agreements, conducting due diligence, advising the system regarding necessary filings with governmental authorities, and bringing the transactions to completion. The Doctor Will Stream You Now. Will Medicare Cover It?